Thursday’s Tip: Why Should Teachers use Blogs? There are many different tools that can be used in the technology-rich classroom. Tools that can be chosen based on what they do, or what they provide for students and the teacher. One tool that is often used in classrooms is a blog. As one second grade teacher found in her own classroom blogs can be used as a motivational tool for students who are reluctant readers and writers. Look at the blog to find out how she used blogging with her students to provide motivation: For the Love of Teaching. Here are several examples of other classroom blogs that teachers are currently using to compliment and enhance their teaching and what is happening in their classrooms. There are many places teachers can go to create their own blogs, and many free services available. Your only job is finding the one that works for your classroom and your students. Some possible options to look into are Blogger, WordPress, and Blogmeister. Just another tool to utilize in the classroom that offers endless possibilities for both teacher and students. Looking for a way to install a kid-safe filter on all your devices? Look no further than Zoodles. 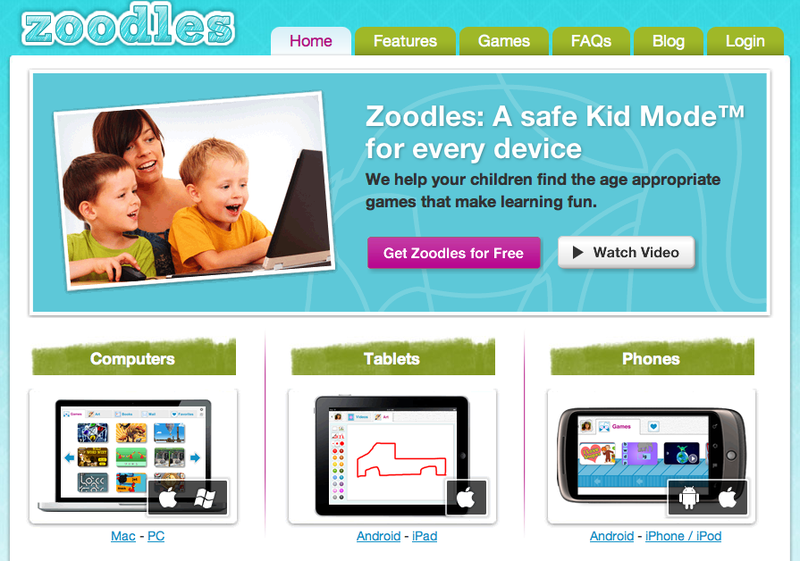 Zoodles makes it possible to have a “kid safe” mode on every device: Mac, PC, iPad, iPhone, iPod Touch and Android. With Zoodles every child has their own “playground” space (login) that they access by clicking on their picture. There is a parent dashboard that let’s teachers or parents make custom settings to meet the needs of students. Parents and teachers can see where a student spends their time, what their interests are, and what subjects they have been practicing. Every game provided has been previewed by experts and is rated based on it’s educational merit. Parent play-along mode makes it possible for parents or teachers to guide the learning experience. The interface does not include any distracting extras where students can get sidetracked or lost. The content in adapts to each child’s age and ability level so they are constantly being challenged and engaged. There are thousands of educational games built into so students always have something new and challenging to interact with. Zoodles is geared for kids from toddler to third grade students. You can investigate the games included in Zoodles by clicking on the “Games” tab on the site. The games and videos in Zoodles are pulled from several places on the Internet. What makes Zoodles a great tool is the ability to guide students in their learning, easily find quality educational content, scale as a student is ready, and keep ads blocked and hidden. Zoodles is great for classroom computers and devices in the primary classroom. It provides students with access to quality learning games and content from the Internet without having to sort through the Internet to get to it. For the classroom, create 3-5 different accounts. Instead of basing the accounts on individual students, the accounts can be based on a learning level. Through the dashboard, teachers can guide the learning that happens in each account. This keeps your students on task, learning at their level, and engaged in meaningful activities. The games and videos are broken up into subject areas and age groups. This makes it easy to find an activity for any learning that you are doing in the classroom. Angie Esser is an instructional specialist with the eMINTS National Center.